I felt I must write to tell you how grieved I am for you. Your boy Pte. 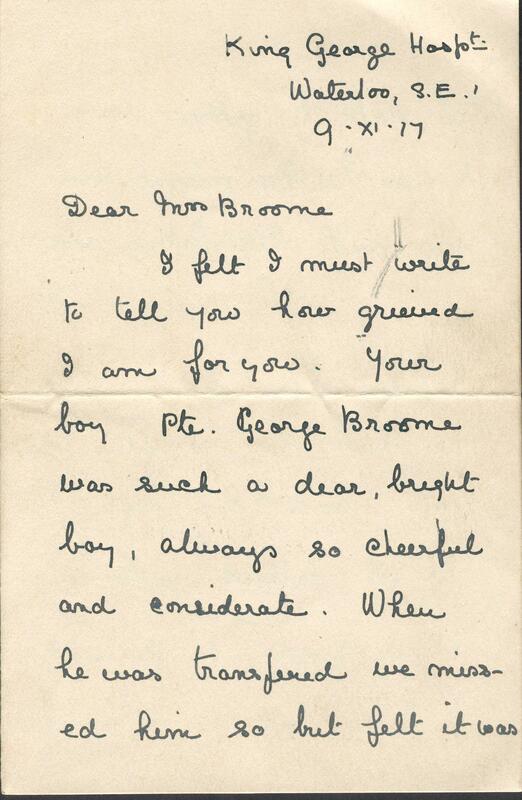 George Broome was such a dear, bright boy, always so cheerful and considerate. When he was transferred we missed him so but felt it was a step to getting near home so he might see you and his father & brothers and sisters. 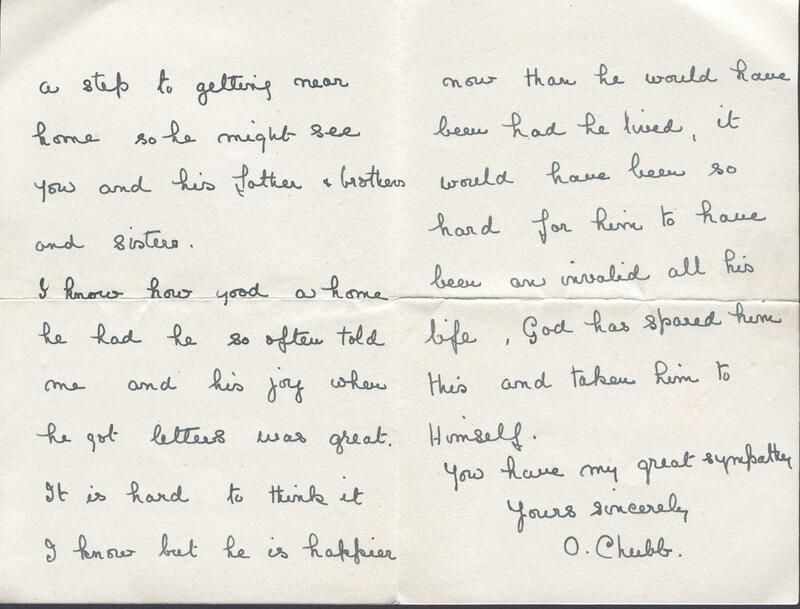 I know how good a home he had he so often told me and his joy when he got letters was great. It is hard to think it I know but he is happier now than he would have been had he lived, it would have been so hard for him to have been an invalid all his life. God has spared him this and taken him to Himself. You have my great sympathy.